Despite all that's been written, said, and (over)prescribed about and for depression, Freud had the best definition: anger turned inward. 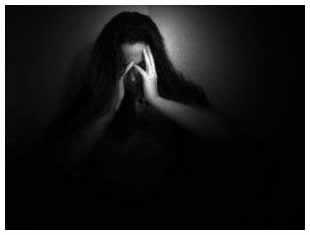 Those who live with chronic severe depression know that although there is definitely a biochemical component to the disease, which, if not the origin, is certainly a major player in its self-perpetuation. But the triad you describe here, Linda--early loss, insecure attachment, and self-blame--kindles the fires of genetic predisposition to this soul-destroying malady. A few episodes of depression may be likened to clouds, but chronic, unremitting depression-- the outward manifestation of rage turned against the self--is a blazing hell. I totally agree with you. Sarah was a woman who was not prone to depression. Her miscarriage was one loss too many, one additional catastrophe she could not control. For her, a cloud descended. But those who suffer from "chronic, unremitting depression - the outward manifestation of rage turned against the self" are definitely in a "blazing hell."